Draft: 2006, Cleveland Indians, 5th rd. Christopher Alan Archer...Is a 2006 graduate of Clayton (NC) High School...Was cut from his seventh-grade baseball team...He then decided to attend every one of their home games that season in order to identify the skills he needed to improve and sharpen to make the team in eighth grade...Was named Conference Player-of-the-Year as a senior quarterback at Clayton High School... Traveled to Birmingham, AL, in February 2018, to take part in a panel hosted by ESPN for Black History Month; was held at the historic Sixth Avenue Baptist Church where Reverend Martin Luther King Jr. used to preach... Visited the Rays Dominican Republic Academy in the 2017-18 offseason and addressed the group via a translator... Is in his fifth season mentoring young athletes across North America as part of MLB's RBI program...Has visited RBI programs in 12 cities since becoming involved in the program...Met President Barack Obama when the Rays traveled to Cuba in 2016...The Commander in Chief greeted him "Hey, Arch" and told him he appreciated his thoughtful interviews about Cuba...Created the Archway Foundation (archwayfoundation.com) in his hometown of Clayton, NC, to teach youth that the legacy they leave behind should not be one of fame or fortune. Went 6-8 with a 4.31 ERA (148.1IP/71ER) and 162 strikeouts in 27 combined starts between Tampa Bay and Pittsburgh...Was Tampa Bay's Opening Day starter for a franchise-record fourth consecutive season and received a no-decision on 3/29 vs. Boston (6.0IP/4ER)...Is one of five pitchers to start on Opening Day in each of the last four seasons, along with Félix Hernández, Clayton Kershaw, Corey Kluber and Julio Teheran...Struck out eight batters on 4/9 at Chicago (AL), giving him 1,066 strikeouts in his career with the Rays to pass David Price (1,065) for second in franchise history behind James Shields (1,250)...Wore short sleeves with a first-pitch temperature of 35°F and recorded his first win of the season on 4/9...Gave up a season-high seven runs on 4/14 vs. Philadelphia in his first career start against the Phillies, the most runs he allowed since giving up nine on 9/26/15 at Toronto...Surpassed 1,000 career innings pitched in his start on 5/1 at Detroit, becoming the third pitcher to reach that plateau in Tampa Bay history; also James Shields (1,454.2) and David Price (1,143.2)... Was placed on the 10-day disabled list on 6/5 with a left abdominal strain - his first career stint on the D.L...Threw bullpen sessions on 6/22 and 6/25 and a 3-inning simulated game on 6/28...Made a rehab start with Class-A Charlotte on 7/3 vs. Fort Myers (Twins), and did not allow a run or hit over 4.0IP...Was reinstated from the D.L. on 7/9...Whiffed 13 batters on 7/22 vs. Miami; the second-highest total of his career behind his 15 strikeouts on 6/20/15 at Los Angeles (AL)...Posted a 6.61 ERA (32.2IP/24ER) in his first six starts and a 3.13 ERA (63.1IP/22ER) in his final 11 starts with Tampa Bay, beginning on 5/1...Recorded a 2.70 ERA (43.1IP/13ER) in his last eight starts with the Rays, dating back to 5/17... Was acquired by Pittsburgh on 7/31...Made his debut with the Pirates on 8/3 vs. St. Louis and gave up five runs (three earned) in 4.1IP (no-decision)...Won his first game with the Pirates on 8/8 at Colorado (5.0IP/2ER)...Struck out seven batters and took a 4-2 lead into the sixth inning on 8/15 at Minnesota, but had a no-decision in Pittsburgh's 6-4 loss...Suffered a 1-0 loss on 8/20 vs. Atlanta; left the game after 4.0 innings due to left leg discomfort...Began pitching exclusively from the stretch on 9/1 at Atlanta and gave up one run and two hits in 6.0IP; left game with a 3-1 lead but had a no-decision as the pen gave up four runs in the eighth inning...Collected his first career extra-base hit on 9/7 vs. Miami; a double off Dan Straily...Won his last two starts, giving up just one run in 13.0IP...Went 2-1 with a 2.70 ERA in five starts in September...Went 2-for-17 (.118) at the plate with the Pirates...Underwent a procedure to repair a bilateral hernia on 11/27 (performed by Dr. William Meyers). Made 34 starts, tying BAL Kevin Gausman for the major league lead and tying the club record (Archer in 2015, David Price in 2011, Scott Kazmir in 2007)…made the AL All-Star Team, his second career selection, and pitched for Team USA in the World Baseball Classic.... Became the second Rays pitcher to make at least 30 starts in four straight years, joining James Shields (six, 2007-12).... Became the third Rays pitcher with three straight years of 200 IP, joining James Shields (six straight, 2007-12) and David Price (three straight, 2010-12)…is one of five pitchers in baseball to throw at least 200 IP in each of the last three seasons, along with Max Scherzer, Jeff Samardzija, Chris Sale and Corey Kluber... His 249 SO ranked 4th in the majors behind BOS Chris Sale (308), WAS Max Scherzer (268) and CLE Corey Kluber (268)…ranked 2nd in club history, behind his own record of 252 (2015)... Also ranked among AL leaders in innings (201, 6th), SO/9 IP (11.15, 3rd), SO/BB (4.15, 6th) and WP (15, tied for 1st)...Led the majors for a third consecutive year in strikeouts on the slider (179), after recording 152 in 2016 and 179 in 2015...According to the Elias Sports Bureau, he became the first pitcher in major league history with three consecutive losing seasons despite recording at least 200 SO each year…in fact, he has posted at least 225 SO in all three seasons… the only other pitcher with multiple seasons of at least 225 SO and a losing record was Hall of Famer Nolan Ryan (1976, 1978, 1987).... Made 9 starts with at least 10 SO, tying the club record (Archer in 2015, David Price in 2014)… ranked 3rd in the AL behind BOS Chris Sale (18) and CLE Corey Kluber (15)…he has done it 27 times in his career, most in franchise history, ahead of Price (23)…has not allowed a walk in 8 of those 27 career starts, tying David Price for most in franchise history and as many as Hall of Famer Nolan Ryan compiled in his 27-year career... Recorded a 5.45 ERA (33-IP, 20-ER) with 8 HR allowed in the 1st inning, compared to a 3.80 ERA (168-IP, 71-ER) with 19 HR after that…the 8 HR allowed in the 1st inning tied for 3rd in the majors, trailing SEA Ariel Miranda (13) and WAS Gio González (9), and tied Mark Hendrickson (2004) for most in franchise history…has a 6.13 ERA (66-IP, 45-ER) in the 1st inning over the past two seasons.... Posted a 3.26 ERA (106-IP, 38-ER) at home and a 4.97 ERA (96-IP, 53-ER) on the road…over the past two seasons, his 2.96 ERA (207-IP, 68-ER) at home ranks 3rd in the AL (min. 162 IP), behind CLE Corey Kluber (2.51) and DET/HOU Justin Verlander (2.80)…over that same span, has a 5.21 ERA (195.1-IP, 113-ER) on the road, 2nd-highest in the AL behind BAL Wade Miley (5.86), including a 6.37 ERA (80-IP, 54-ER) in opposing AL East ballparks…over his first four major league seasons (2012-15), he posted a 3.27 ERA on the road.... On April 2 vs. NYY, made his third consecutive Opening Day start, joining James Shields (2008- 10) as the only Rays pitchers to do so…recorded his first career Opening Day win, 7-3 over Masahiro Tanaka…threw the first pitch of Major League Baseball's 2017 season, the second Ray ever to do that, joining Victor Zambrano (2004 in Tokyo vs. NYY)... On April 14 at BOS, defeated Rick Porcello, 10-5, for his first career win at Fenway Park and first win over the Red Sox since Sep 19, 2012 (his fourth career start)…it snapped his 11-game losing streak (0-11 over 15 starts) vs. the Red Sox- the longest since SEA/CWS Floyd Bannister (11) from 1982-86 and the longest in Rays history against any single opponent... Recorded 58 SO in May, breaking David Price's club record for any month (54 in June 2014)…his 58 SO for May tied BOS Chris Sale for the AL lead and tied for 2nd in the majors behind WAS Max Scherzer (60)... On May 10 vs. KC, tossed a season-high 8 IP, all scoreless, with 0 BB and 11 SO in a 12-1 victory.... On July 4 at CHC, earned a 7-5 win over Jon Lester and picked up his first career hit and RBI on a 4th-inning RBI single…it snapped an 0-for23 skid to begin his career…singled again on Aug 27 at STL, making him one of six AL pitchers with multiple hits in 2017.... Recorded the 1,000th strikeout of his career on Aug 17 at TOR, fanning Ezequiel Carrera in the 4th inning…joined James Shields (1,250) and David Price (1,065) as the only Rays to reach the milestone…he accomplished this in only 928.2 IP…according to the Elias Sports Bureau, he became only the ninth pitcher in major league history to reach 1,000 SO in as few as 154 games, joining CHC Kerry Wood (134), SF Tim Lincecum (136), BOS Roger Clemens (143), WAS Stephen Strasburg (144), NYM Dwight Gooden (145), NYM Hideo Nomo (147), CLE Corey Kluber (148) and SEA Randy Johnson (152).... Was 9-7 with a 3.66 ERA (179.1-IP, 73-ER) in 28 starts through the end of August…in September, went 1-5 with a 7.48 ERA (21.2-IP, 18-ER) in 6 starts…his 5 losses in September set a club record for the month and tied BAL Wade Miley for most in the majors.... WORLD BASEBALL CLASSIC: Started Team USA's opening game on March 10 vs. Colombia and retired all 12 BF on 41 pitches (30 strikes)… Team USA went on to win, 3-2, in 10 innings…he returned to the Rays after that game, and Team USA went on to win its first WBC championship.... ALL-STAR GAME: Was added to the AL All-Star Team as one of several replacements, but did not pitch…was his second All-Star selection, joining David Price (four) and Scott Kazmir (two) as the only Rays pitchers with multiple All-Star selections. Became the fourth Rays pitcher to record back-to-back seasons of 200 IP, joining James Shields (6 straight, 2007-12), David Price (3 straight, 2010-12) and Matt Garza (2009-10).His 233 SO tied CWS Chris Sale for 2nd in the AL behind DET Justin Verlander (246)…it was the 3rd-highest total in Rays history behind his club-record 252 (2015) and LH Scott Kazmir's 239 (2007)…led the AL as late as Sep 16, but was passed by Verlander after the Rays switched to a six-man rotation following the return of Alex Cobb. His 19 losses led the AL and tied SD/CWS James Shields for most in the majors …prior to 2016, no major league pitcher had lost 19 games since KC Darrell May in 2004 (also 9-19)…broke RH Tanyon Sturtze's club record of 18 (2002)…they were also the most losses by a pitcher who was an All-Star the season prior since ATL Phil Niekro (20) in 1979. His combination of strikeouts (233) and losses (19) has been reached by only three other pitchers in AL history, all Hall of Famers: CLE Gaylord Perry in 1973 (238-SO, 19-L), CWS Ed Walsh in 1916 (258-SO, 20-L) and PHI-AL Rube Waddell (349-SO, 19-L). Archer's 233 SO and 9-19 record followed a 2015 season with 252 SO and a 12-13 record…he is the first pitcher in major league history to have back-to-back seasons of at least 225 SO and a losing record…the only other pitcher with multiple seasons of this type was Nolan Ryan, in 1976, 1978 and 1987. Recorded a .238 opp avg. …only two AL pitchers in the last 100 years have lost 19 or more games and held opponents to a lower avg. than Archer: WAS-AL Walter Johnson in 1916 (20 losses, .221 opp avg.) and CAL George Brunet in 1967 (19 losses, .223 opp avg.). Finished the season with a 4.02 ERA, his lowest since Opening Day (3.60)…went 4-12 with a 4.66 ERA in 19 starts before the All-Star break, and 5-7 with a 3.25 ERA in 14 starts af-ter the break…went at least 6 IP in 21 of his last 23 starts, compared to 4 times in his first 10 starts. Finished among AL leaders with 10.42 SO/9 IP (2nd), 33 starts (T-4th), 67 BB (8th) and 11 WP (T-5th)…led the majors for a second straight season in strikeouts on the slider (152), after recording 179 in 2015. Had 6 games with double-digit strikeouts, 3rd in the AL behind DET Justin Verlander (8) and BOS David Price (7). Was 3-10 at home, but led the AL with a 2.65 ERA (102-IP, 30-ER)…received the lowest run support in the majors at home at 2.12 R/9 IP…his 10 losses set a club record, passing David Price (9) in 2011 and Rolando Arrojo (9) in 1999…on the road, his 5.44 ERA (99.1-IP, 60-ER) was 5th highest in the AL but received 6.34 R/9 IP in run support, 9th highest in the AL. Received 2 runs or fewer of run support in 19 of his 33 starts, 1 run or fewer in 13 starts and 0 runs in 5 starts…received a total of 26 runs in his 19 losses, including 2 runs or fewer in 15 of his 19 losses…in comparison, he received 54 runs in his 9 wins. Had a 6.82 ERA (33-IP, 25-ER) in the 1st inning and a 3.48 ERA (168.1-IP, 65-ER) after that. Went 2-11 with a 4.44 ERA (97.1-IP, 48-ER) in 16 starts vs. AL East opponents…was 0-5 with a 5.86 ERA in 5 starts vs. Boston, the first in Rays history to lose 5 games to any opponent and the first to lose 5 games to Boston in a season since DET Jim Bunning in 1960…extended his losing streak vs. Boston to 11 games, the longest against the Red Sox since SEA/CWS Floyd Bannister (11) from 1982-86…it is the longest by any pitcher against any opponent since CWS/TOR Mark Buehrle vs. the Yankees (12) from 2004-14…it is 5 games longer than any other losing streak in club history against a single opponent. Made his second consecutive Opening Day start (April 3 vs. TOR), joining David Price (2013-14), James Shields (2008-10), Scott Kazmir (2006-07) and Wilson Álvarez (1998-99) as the only Rays to start back-to-back Opening Days…lost 5-3, but his 12 SO set a club record for Opening Day and were the most in the majors on Opening Day since SEA Félix Hernández on April 2, 2007 vs. OAK…became the first pitcher to record at least 12 SO on Opening Day and lose since STL Bob Gibson in 1975 vs. MTL. Finished April with 43 SO and a 5.01 ERA…he and BOS David Price (46 SO, 5.76 ERA) joined SEA Randy Johnson in 1998 (48, 6.12) and CAL Nolan Ryan in 1974 (51, 5.12) as the only pitchers in major league history to finish April with at least 43 SO and an ERA over 5.00. Avoided a 20th loss in his final start, earning a 5-3 victory on Sep 29 at CWS, becoming the first pitcher to start one or more games with 19 losses and avoid a 20-loss season since TB/ARI Albie Lopez in 2001 (finished 10-19)…avoided becoming only the second pitcher in his lifetime to lose 20 games-would have joined DET Mike Maroth (21) in 2003. Earned his first All-Star selection and set a club record with 252 strikeouts, which ranked 2nd in the AL to CWS Chris Sale (274) and 4th in the majors...the previous record of 239 was held by Scott Kazmir (2007)...made his first career Opening Day start...his 34 starts led the majors and tied the club record (David Price in 2011, Kazmir in 2007)...crossed the 200-inning and 200-strikeout marks for the first time in his career. Became just the seventh pitcher in the modern era (since 1900) to record 250 strikeouts in a season without posting a winning record...four of the previous six pitchers are Hall of Famers (see chart).Finished fifth in the AL Cy Young voting with 29 points in the 7-4-3-2-1 voting system...it was the most points accumulated by a pitcher with a sub-.500 record in either league since CWS Chris Sale in 2013. Also ranked among AL leaders with 212 IP (6th),3.23 ERA (6th), 10.70 SO/9 IP (2nd), 3.82 SO/BB (9th) and 1.14 WHIP (10th)...held opponents to a .220 avg. (4th), .282 OBP (8th) and .331 SLG (3rd)...according to Stats LLC, opposing hitters missed on 29.7 pct. of their swings, 2nd in the AL to Sale (32.6).Of his 34 starts, he allowed 0 ER in 10, a club record and tied for 1st in the AL with HOU Dallas Keuchel and TEX Yovani Gallardo...he allowed 1 ER or fewer in 17 starts, a club record and most in the AL...he allowed 2 ER or fewer in 22 starts, tied with Keuchel for 2nd in the AL behind DET/TOR David Price (23). Recorded 5 starts of at least 7 IP while allowing 2 hits or fewer and no runs, tied for most such starts since data is available (1914)...also NYM Jake deGrom (2015), PIT Francisco Liriano (2013), BOS Pedro Martinez (2002) and PHI Grover Cleveland Alexander (1915)...became the first pitcher in the modern era (since 1900) to do this in 3 of his first 5 starts of a season, according to the Elias Sports Bureau. Received the 6th-lowest run support in the AL (3.95 R/9IP)...received no run support 7 times, and 1 run or fewer 13 times...received 2.37 R/9 IP at home-lowest in the majors-compared to 5.65 R/9 IP on the road. Went 9-5 on the road, his 9 wins tying for 2nd in the AL behind DET/TOR David Price (11)...went 6-0 with a 0.89 ERA (40.2-IP, 4-ER) in his first 6 road starts, longest road winning streak in club history to start a season. Had 9 double-digit strikeout games, tying the club record (David Price, 2014) and 2nd in the AL to CWS Chris Sale (13)...had 4 starts of 10-plus SO and 0 BB, tops in the AL and tying Price(2014) for the club record. Threw a career-high 39.2 pct. sliders, highest rate by an AL starter since PITCHf/x data is available (2002)...had a major-league-most 179 SO with the slider (152 swinging), accounting for 71.0 pct. of his total strikeouts...no other pitcher in the majors had as many strikeouts on any other pitch, according to Stats LLC...In Baseball America's annual Best Tools survey of major league managers, Archer was named the AL's No. 3 Best Pitcher and No. 1 Best Slider...Keith Law of ESPN.com rated Archer as the No. 1 Best Slider in the majors, as well as the No. 3 Best Fastball behind CIN Aroldis Chapman and WAS Max Scherzer...his fastball averaged 95.2 mph, 3rd fastest in the AL and 6th in the majors, according to FanGraphs. On April 6 vs. BAL made his first Opening Day start and second Opening Day roster, but lost 6-2 to Chris Tillman...his own throwing error on the very first play of the game led to an unearned run....Received votes for AL April Pitcher of the Month but lost to HOU Dallas Keuchel...led the AL with 37 SO and ranked 3rd with a 0.84 ERA-a club record for April and the 2nd lowest of any month in club history, behind his own mark of 0.73 in July 2013...compiled streaks of 28.2 IP and a club-record 4 starts without allowing an ER, April 11-26. Won a career-high 6 straight decisions May 17-June 23...through June 23 was 9-4 with a 2.01 ERA (103-IP, 23-ER) in 16 starts...after that, went 3-9 with a 4.38 ERA (109-IP, 53-ER) in 18 starts...From May 27-June 2, became the first Ray ever to strike out 12 or more in back-to-back games and the second pitcher in the modern era to record at least 12 SO with no walks in back-to-back starts, joining 19-year-old Mets rookie Dwight Gooden in 1984...six weeks later, LAD Clayton Kershaw became the third...from May 27-June 7, became the first player in the modern era (since 1900) to record 10-plus strikeouts and no walks in 3 consecutive starts, according to the Elias Sports Bureau-and once again, Kershaw joined him six weeks later...in those 3 starts, Archer went 2-0 with a 0.39 ERA (23-IP, 14-H, 2-R, 1-ER, 0-BB, 38-SO)...his 38 SO were the most ever in a three-start stretch without issuing a walk (tied by Kershaw)...named the AL Player of the Week for June 1-7. On May 27 vs. SA facing Felix Hernandez, turned in one of the best starts of his career but earned no decision in the 3-0 loss...exited after 8 IP with a scoreless tie before Brad Boxberger yielded a 3-run homer to Nelson Cruz...only 2 base runners were a 1st-inning double by Seth Smith and 5th-inning single by Logan Morrison...in his 2 career starts vs. Felix, the two pitchers haven't allowed a run in a combined 31.1 IP-both Rays losses at home...Rays lost 5-0 on June 8, 2014. On June 2 at LAA, his 15 SO tied James Shields' club record (Oct 2, 2012 vs. BAL in his final game as a Ray) and set a club mark for strikeouts in a road game...tossed only 105 pitches over 8 IP in a 6-1 victory over C.J. Wilson...only one other pitcher in the 2000s has struck out 15-plus while throwing so few pitches: SEA Felix Hernandez on June 8, 2014 at Tropicana Field (15 SO, 100 pit.)... On July 29 vs. DET, lost a duel with Justin Verlander, 2-1, despite the longest perfect game bid in Rays history...retired his first 19 BF until Jose Iglesias' infield single in the 7th inning...broke Matt Garza's record of retiring his first 18 BF (April 30, 2009 vs. BOS, spoiled by Jacoby Ellsbury's infield single)...Archer and Verlander combined to retire the first 29 batters of the game-a first since July 28, 1991, when MTL Dennis Martinez threw a perfect game at LAD to beat Mike Morgan, 2-0 (source: Elias Sports Bureau)...it was also the fifth game since 1900 in which both starters recorded double-digit strikeouts without issuing a walk. On Aug 20 at HOU, threw his third career shutout, first since July 27, 2013 at NYY, in a 1-0 victory...only allowed 2 base runners, a leadoff walk to Jose Altuve in the 1st inning and a single by Colby Rasmus in the 5th...retired his final 15 BF...struck out 11 and threw only 98 pitches...was the fourth CG shutout allowing one hit or fewer in club history, first since Matt Garza's no-hitter on July 26, 2010 vs. DET...the last CG one-hitter was Garza on June 26, 2008 at FLA...his "Game Score" of 95-a metric devised by Bill James evaluating a starting pitcher's dominance-was the highestin franchise history...he became the first AL pitcher to throw a 1-hit shutout with 10-plus SO and fewer than 100 pitches since NYY David Cone's perfect game on July 18, 1999 vs. MTL (10 SO on 88 pitches)...Has pitched in six 1-0 games since the start of the 2014 season...in those 6 games he is 1-3 with a 0.44 ERA (41.1-IP, 2-ER) as the Rays offense has scored only one run while he was on the mound...Rays are 3-3 in those games. Finished the month of August at 12-10 with a 2.78 ERA...after that, went 0-3 with a 5.81 ERA (31-IP, 20-ER) in his final 6 starts to raise his season ERA to 3.23...his 6.58 ERA in September was the worst monthly mark of his career...issued a career-high-tying 5 BB in consecutive games, Sep 21 at BOS and Sep 26 at TOR. Recorded 50 SO in August, tying Scott Kazmir's club record for the month (2007). On Sep 11 vs. BOS, struck out 7 consecutive batters to tie the club record (Andy Sonnanstine, June 10, 2007 at FLA).On his 27th birthday, Sep 26 at TOR, faced former teammate and close friend David Price for the first time...tied career highs with 9 R and 5 BB allowed en route to a 10-8 loss...became the first pitcher to allow at least 9 runs on his birthday since NYG Freddie Fitzsimmons on July 28, 1932 vs. PIT (9 runs on his 31st birthday)...became the first AL pitcher to do so since CWS Hollis "Sloppy" Thurston on June 2, 1925 at DET (11 runs on his 26th birthday). In a combined 24 career starts against the Yankees and Blue Jays, is 10-5 with a 2.83 ERA (159-IP, 50-ER)...against the Orioles and Red Sox, is a combined 3-10 with a 4.97 ERA (99.2-IP, 55-ER) in 19 apps (18 starts).Averaged 21.6 seconds between pitches, compared to 25.2 seconds in 2014-5th longest in the majors. ALL-STAR GAME: Selected via the Player Ballot to his first career All-Star Game, held in Cincinnati...pitched a scoreless 5th inning before allowing a leadoff homer to Andrew McCutchen in the 6th...his line: 1.1 IP, 1 H, 1 R, 1 BB, 1 SO, 1 HR, 20 pitches...was the first run a Rays pitcher ever allowed in an All-Star Game, ending a scoreless streak at 11 innings. In his first full major league season, led the Rays staff with 32 starts and 194.2 IP...made 16 starts allowing 1 ER or fewer, tying James Shields' club record (2011) and tying SEA Felix Hernandez and KC Danny Duffy for the AL lead...Set a club record and ranked 5th in the AL with a 0.55 HR per 9 IP ratio, with only 12 HR allowed in 194.2 IP...half of those 12 HR came in his final 6 starts, after yielding only 6 HR in his first 26 starts...his .336 opp SLG ranked 6th in the AL and 3rd in club history, behind David Price (.318 in 2012) and Alex Cobb (.325 in 2014)...The Rays went 15-8 when he pitched 6 innings or more, and 2-7 when he failed to do so...since the start of 2013, those marks are 27-9 and 4-15...Was involved in four 1-0 games: April 8 at KC (won, ND), May 23 vs. BOS (won, ND), June 3 at MIA (lost) and Sep. 26 at CLE (lost)...Over the first quarter of his season (8 starts through May 11), had a 5.16 ERA (45.1-IP, 26-ER)...after that, pitched to a 2.77 ERA (149.1-IP, 46-ER) in 24 starts...Recorded a 2.78 ERA (107-IP, 33-ER) on the road, 8th lowest in the AL...finished the season with an active streak of 13 road starts allowing 3 ER or fewer, one shy of the club record held by Jeremy Hellickson (April 19, 2012-April 15, 2013)...has a 1.81 ERA (84.1-IP, 17-ER) during this streak, which began May 16...also went a club-record 10 straight road starts allowing 2 ER or fewer, snapped on Sep 9 at NYY...Allowed 72 walks, 6th most in the AL...21 of those came in the month of May...According to FanGraphs, averaged 94.6 mph on his fastball, 3rd hardest among AL qualifiers behind KC Yordano Ventura (97.0) and LAA Garrett Richards (96.3)...91 of his 173 SO (52.6 pct.) came via the slider, according to PITCHf/x...according to Brooks Baseball, opponents hit .188 (44-for-234) in at-bats ending with the slider...His 1.95 ERA (37-IP, 8-ER) in 6 starts in the month of June ranked 4th in the AL and set a club record (prev. Dewon Brazelton, 2.05 in June 2004)...Righthanders batted .262 (83-for-317) with 7 HR against him...prior to 2014, he'd held them to a .173 (45-for-260) clip...Is 5-0 with a 1.93 ERA (42-IP, 9-ER) in 6 career starts vs. NYY...won his first 4 starts against them, becoming only the second pitcher in the last 30 years to earn the win in his first 4 career games vs. NYY, joining LAA Ervin Santana (2005-06)...in the past century, only two pitchers have won their first 4 games vs. NYY with an ERA lower than Archer's 1.26 mark: BAL Mike Cuellar (4-0, 0.75 in 1969-70) and BAL Jim Palmer (4-0, 1.23 in 1965-66, though 2 games were in relief)...on June 30 at NYY, was in line to become the the first pitcher to win his first 5 games vs. the Yankees since Hall of Famer Walter Johnson for the Washington Senators (1907-08), before Joel Peralta allowed a game-tying, solo HR to Brian Roberts in the 9th inning...On Aug 13 at TEX, recorded a career-high 12 SO in a 10-1 victory...this tied for the most by any Rays pitcher in 2014...On April 2, the Rays announced an eight-year contract extension for Archer - the first six years (2014-19) guaranteed, plus club options for the 2020 and 2021 seasons...the deal is expected to guarantee a total of $25.5 million, with a maximum value of $43.75 million...it is the longest commitment the Rays have made to a pitcher...his new contract was only the fifth contract worth over $20 million given by Stuart Sternberg's ownership group...it is the largest guarantee in major league history for a player with less than one year of service time...there have been only five such deals in major league history, and the Rays have made three of those five. recall on June 1... Held opposing batters to a .206 avg. (20-for- with runners in scoring position, the 9thlowest mark in the AL after June 1. At Durham, went 5-3 with a 3.96 ERA (50-IP, 22-ER), 52 SO, 23 BB and 50 hits allowed in 10 starts... Entered the 2013 season rated by Baseball America as the No. 2 prospect in the Rays organization behind OF Wil Myers…was also rated by the publication as the Best Slider in the Rays system for the second straight season... POSTSEASON: Pitched out of the bullpen and appeared in 2 games…in Game 1 of the ALDS at BOS, worked 1.1 IP (1-H, 0-R, 2-SO) retiring Dustin Pedroia, David Ortiz, Mike Napoli and Jonny Gomes…in Game 4 at home entered in the 9th inning and faced one batter, allowing a sac fly to Pedroia. Served two separate stints with the Rays, his first major league action...spent the remainder of the season with Triple-A Durham...in 6 appearances (4 starts) with the Rays, went 1-3 with a 4.60 ERA (29.1-IP, 15-ER), 36 SO and only 23 hits and 13 BB allowed.... Named the 2012 Rays Minor League Pitcher of the Year...in 25 starts for Durham, he went 7-9 with a 3.66 ERA (128-IP, 52-ER) and led the International League and Rays minor league system with 139 SO...his .216 opp avg. was 3rd best among Triple-A pitchers.... According to the Elias Sports Bureau, became only the second pitcher in the last 25 years to have 25 SO or more in his first 3 career starts, along with WAS Stephen Strasburg (32 in 2010), and the first to do it in the AL since NYY Al Leiter (25 in 1987)...it was also a Rays club record for a pitcher in his first 3 starts.... Was first recalled on June 20 to take the roster spot of Jeremy Hellickson, who was placed on the DL due to right shoulder inflammation...made his major league debut against Strasburg that night at Nationals Park and sustained a 3-2 loss...totaled 6 IP, 3 H, 3 R, 1 ER, 1 BB, 7 SO, 82 pitches, 49 strikes...allowed 3 hits and 3 runs in the 1st inning but didn't allow a hit in his final 5 innings...his 7 SO were the 2nd most by a Ray in his major league debut behind Wade Davis' 9 SO on Sep 6, 2009 vs. DET...His debut snapped the Rays streak of consecutive games started by a pitcher they drafted at 232 games, a major league record.... Made his second start on June 26 at KC, losing 8-2 to Bruce Chen...yielded 4 R/ER in 5.2 IP, with 7 SO and 1 BB.... Optioned back to Durham on June 28, and went 3-1 with a 1.93 ERA (51.1-IP, 11-ER) in 11 starts for the Bulls after his return...recalled for a second time on Sep 7 to make a spot start in place of David Price who had shoulder fatigue.... On Sep 8 vs. TEX, struck out 11 and allowed 2 runs in 7 IP but did not factor in the decision in a 4-2, 10-inning loss...his 11 SO were one shy of the club rookie record set by Dan Wheeler on Sep 12, 1999 vs. OAK (12)...became just the 3rd AL pitcher since 2005 to record 11 or more strikeouts in one of his first 3 career starts...joined teammate Matt Moore on Sep 22, 2011 at NYY (11-SO) and SEA Felix Hernandez on Aug 15, 2005 vs. KC (11-SO).... Earned his first major league win on Sep 19 vs. BOS in a 13-3 victory over Daisuke Matsuzaka.... On Sep 13 at BAL, threw 3.2 innings in relief and took the loss as he allowed a walk-off, RBI single to Manny Machado in the 14th inning...it was his first relief appearance since April 16, 2010 with Class-A Daytona...escaped a bases-loaded, no-out jam in the 13th, capped by strikeouts of Matt Wieters and Nate McLouth to end the inning.... Entered his relief app on Sep 13 at BAL as a pinch-hitter, when Ryan Roberts left the game after fouling a ball off his foot in the 11th inning...he eventually struck out...became the first pitcher to enter an AL game (excluding interleague play) as a pinch-hitter and remain in the game to pitch since BOS Joel Finch on July 25, 1979 vs. OAK, in a 16-4 Boston victory.... Was used twice as a pinch-runner, June 23-24 at PHI...scored the game-tying run in the Rays 9th-inning rally against Jonathan Papelbon in his first pinch-running appearance on June 23.... In 14 starts at Durham before his first recall, posted a 4-8 record with a 4.81 ERA (76.2-IP, 41-ER) and 90 SO...led all Triple-A pitchers in strikeouts as well as SO/9 IP (10.57) at the time of his recall.... Named the Rays Minor League Pitcher of the Month in May...went 2-2 with a 3.38 ERA (34.2-IP, 13-ER) and 49 SO against 14 BB in 6 starts.... Enters the 2013 season rated by Baseball America as the No. 2 prospect in the Rays organization behind OF Wil Myers...the publication also rated him the No. 3 prospect in the International League, as well as Best Slider in the farm system for a second straight season. Spent the majority of the season with Double-A Montgomery, making 25 starts in his first season in the Rays system...went 8-7 with a 4.42 ERA (134.1-IP, 66-ER) and on Aug 26 was promoted to Triple-A Durham, where he made two quality starts to end the season...went 1-0 with a 0.69 ERA (13-IP, 1-ER) for the Bulls...Through his first 11 starts (June 1) was 1-3 with a 5.98 ERA (52.2-IP, 35-ER)...after that, went 8-4 with a 3.04 ERA (94.2-IP, 32-ER) over his final 16 starts between Montgomery and Durham...overall was 9-7 with a 4.09 ERA (147.1-IP, 67-ER) in 27 starts...Enters the 2012 season rated by Baseball America as the No. 3 prospect in the Rays organization, after LH Matt Moore and SS HakJu Lee...the publication also rated him as Best Slider in the farm system...Named a Southern League midseason All-Star...named SL Pitcher of the Week during his final week with the Biscuits...Led the Southern League with 18 wild pitches...his 80 BB were 3rd most in the league...His 130 SO placed 4th among Rays minor leaguers...Started one playoff game for Durham, suffering a loss vs. Columbus (Indians) despite a career-high 11 SO...Traded from the Cubs to the Rays on Jan 8 in an eight-player deal involving Matt Garza...invited to major league camp and appeared in 4 games for the Rays during spring training, compiling a 0.00 ERA (4.1-IP, 2-H, 1-R, 0-ER, 5-BB, 5-SO). Was a combined 15-3 with a 2.34 ERA (142.1-IP, 37-ER) and 149 SO in 28 games (27 starts)between Class-A Daytona (Cubs) and Double-A Tennessee (Cubs), helping the Smokies tothe Southern League North Division title. ... Following the season was named the No. 1prospect and Best Slider in the Cubs organizationby Baseball America...was also namedCubs Minor League Pitcher of the Year. ... Began his pro career 2-16 through his first 2-1/2seasons, but has gone 18-3 (2.41, 168.1-IP,45-ER) in his last 34 games (33 starts) sinceAug 9, 2009. ... Ranked 3rd among all minor league pitchersin victories...ranked 7th in the minors in ERA. ... Held opponents to a .200 (102-for-509) avg.,3rd best among all minor league pitchers. ... Allowed only 6 home runs to the 590 battershe faced (1 HR per 98 batters faced)...thoseare the only home runs he has allowed inhis last 254.1 innings dating back to Aug 30,2008...he's allowed only 20 in 444.1 career innings...allowed 2 home runs vs. Tampa (Yankees)in his third start on April 21, the first hehad allowed in 119 innings. ... Began the year at Daytona where he won hisfinal seven decisions (May 8-June 27) beforeearning a promotion to Tennessee...began hisDouble-A career by not allowing an earned runin his first 31.1 innings...in his third week withthe club was named Southern League Pitcherof the Week, going 2-0 with a 0.00 ERA (11.1-IP, 0-ER). ... While with Daytona, he defeated Rays farmhandand two-time minor league strikeoutchampion Matt Moore and the CharlotteStone Crabs, 6-3 on June 3. ... After the season was named to the BaseballAmerica Minor League All-Star Team, whichrecognizes the top talent in all of minor leaguebaseball. ... Was traded from the cubs to the Rays on Jan 8in a seven-player deal involving Matt Garza...was unofficially rated the No. 4 prospect inthe Rays system. Did not allow a home run all season in 109 inningsat Class-A Peoria (Cubs) in 2009 ... with119 strikeouts, averaged 9.8 SO/9 IP. In 2008, with Class-A Lake County (Indians)he held opponents to a .050 average (3-for-60) with 2 outs and runners in scoring position ... allowed 3 hits or less in 16 of his 27 starts and1 ER or less 14 times, but won only 4 times. ... Following the season, on New Year's Eve, hewas acquired by the Cubs from Cleveland,along with pitchers Jeff Stevens and JohnGaub for utilityman Mark DeRosa. Was winless (0-7) in his first 12 professionalstarts before he defeated the GCL Braves,8-2, on July 27, 2007 as a member of the GCLIndians. April 21, 2019 Pittsburgh Pirates activated RHP Chris Archer. 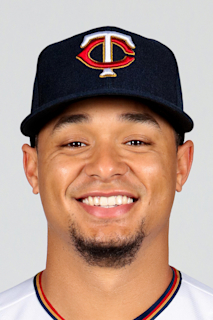 April 14, 2019 RHP Chris Archer roster status changed by Pittsburgh Pirates. August 1, 2018 Pittsburgh Pirates activated RHP Chris Archer. July 9, 2018 Tampa Bay Rays activated RHP Chris Archer. July 3, 2018 Tampa Bay Rays sent RHP Chris Archer on a rehab assignment to Charlotte Stone Crabs. June 5, 2018 Tampa Bay Rays placed RHP Chris Archer on the 10-day disabled list retroactive to June 3, 2013. Left abdominal strain. June 1, 2013 Tampa Bay Rays recalled RHP Chris Archer from Durham Bulls. March 12, 2013 Tampa Bay Rays optioned Chris Archer to Durham Bulls. September 7, 2012 Tampa Bay Rays recalled Chris Archer from Durham Bulls. June 28, 2012 Tampa Bay Rays optioned Chris Archer to Durham Bulls. June 20, 2012 Tampa Bay Rays recalled Chris Archer from Durham Bulls. March 12, 2012 Tampa Bay Rays optioned Chris Archer to Durham Bulls. October 6, 2011 Chris Archer roster status changed by Tampa Bay Rays. August 23, 2011 RHP Chris Archer assigned to Durham Bulls from Montgomery Biscuits. March 15, 2011 Tampa Bay Rays optioned Chris Archer to Durham Bulls. January 8, 2011 Hudson Valley Renegades Traded LHP Zac Rosscup to Boise Hawks; Tampa Bay Rays Traded CF Fernando Perez and RHP Matt Garza to Chicago Cubs; Peoria Chiefs Traded SS Hak-Ju Lee to Bowling Green Hot Rods and Chicago Cubs Traded RF Brandon Guyer, RHP Chris Archer, C Robinson Chirinos and LF Sam Fuld to Tampa Bay Rays. November 19, 2010 Chicago Cubs selected the contract of Chris Archer from Tennessee Smokies. June 28, 2010 Chris Archer assigned to Tennessee Smokies from Daytona Cubs. April 5, 2010 Chris Archer assigned to Daytona Cubs from Peoria Chiefs.